Topic: If my Ural could do THIS, I wouldn't have bought this. 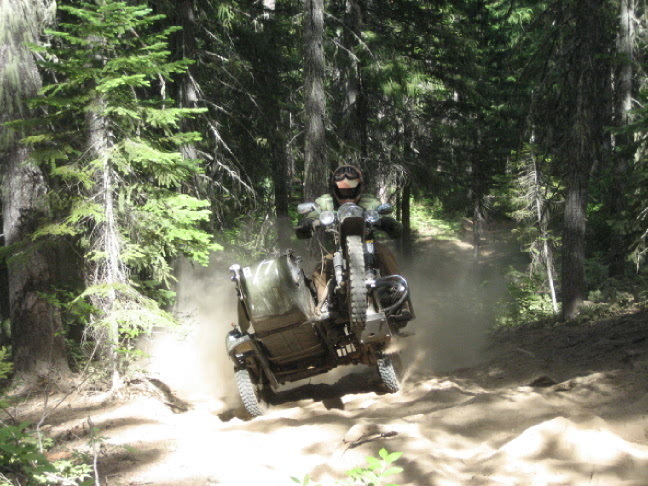 Re: If my Ural could do THIS, I wouldn't have bought this. Anymore of your side by side vids Dave ? I have been busy lately, havn't had time to edit and post up any new video. That said I am having GREAT TIME WITH THIS THING. DaveO, was a great friend and a Uralista to the core, he deserves this honor. About 1,700 pounds stock. Setup the way I have mine, spare tire, storage box with tools, air compressor, recovery needs, myself and a passenger around 2,000-2,100 pounds. If my Ural could do THIS, I wouldn't have bought this. Catching up on my web surfing and just now saw your thread. Glad to hear your OK, mount a machine gun on the tub, I have noticed that every time I ride with the gun mounted I get a lot more respect from the cagers. Topic: For sale, "The Predator" yes that right the Predator. Re: For sale, "The Predator" yes that right the Predator.